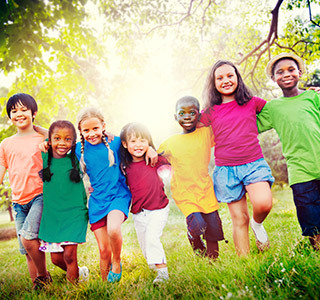 When you join Boomerang Health you are joining an organization dedicated to reducing the complexities associated with the health and wellbeing of children and teenagers. Our connection to The Hospital for Sick Children (SickKids) requires a continuous commitment to high quality patient care. Boomerang Health incorporates SickKids’ policies and best practices with oversight from a Quality Assurance committee. Boomerang Health employees are able to access training and education sessions at SickKids to keep abreast of the latest knowledge and research. We recognize that our most important assets are our people. We depend on our employees to creatively solve challenges and to help drive improvement throughout the organization. Boomerang Health provides career opportunities for highly motivated, upbeat employees who are committed to our mission and prepared to work hard and contribute toward the success of the organization. We expect a lot from our employees, and in turn, we provide an environment that supports and rewards success. We offer a competitive employee compensation package. Boomerang Health also supports ongoing development of its employees through financial support and/or time off for growth and development activities. We are always looking for experienced volunteers to help us with various tasks and projects around the clinic. If you are interested in applying to be a volunteer at Boomerang Health, please send your cover letter and resume to info@boomeranghealth.com. *Note that Boomerang Health powered by SickKids is an equal opportunity employer.